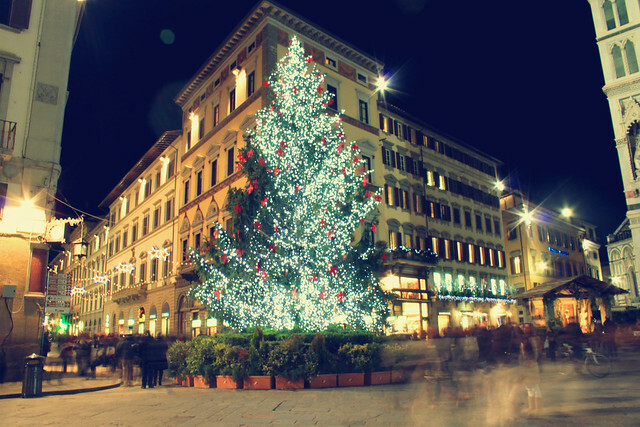 Is there any time or place more magical than Christmas in Florence? (If you want to argue that question, Hannah will outsmart and outlast you, I promise.) Here are the festive events that top our list (don’t forget to check the calendar for more free things to do!). If you can only celebrate digitally, check out our newly launched Instagram – because where else can you find a bicicocomero and Anthony Hopkins sandwiched between stunning photos of Florence? An unbelievable holiday treat! 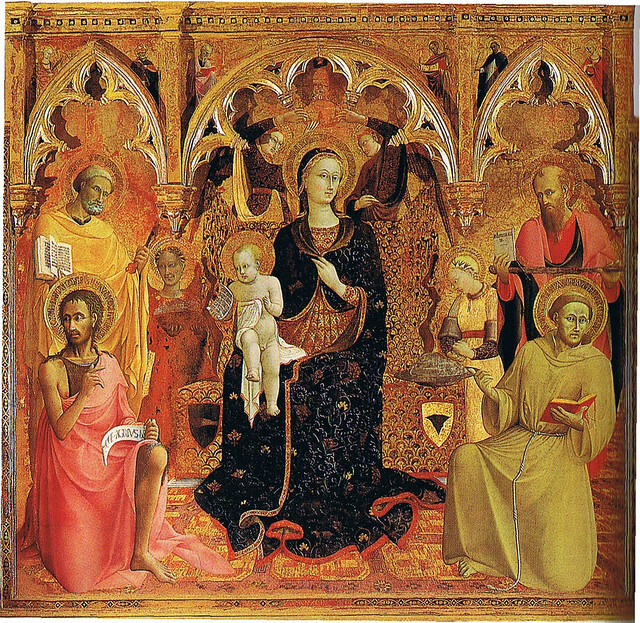 Usually closed to the public, the Uffizi is offering free guided tours of this incredible collection in the museum’s satellite palazzo, just behind the main museum on via Lambertesca. The piece we’d most like to see? St. Lawrence Martyred on a Gridiron by Gian Lorenzo Bernini (the only Bernini statue in Florence!). Tours are scheduled at 2 p.m. and 4:15 p.m. every Thursday; reservations are required. For all the details, visit here. The magical evening when all of Florence’s glittering holiday decorations light up for the season. Even if you were the Grinch and purposefully tried to avoid this bright expression of seasonal spirit, there’s no escaping Christmas in Florence. To soak up the most of the lights, take our Christmas Walk through city center (a tour guaranteed to make your day merry and bright!). Or, if you’re interested in checking out all of the festive store displays (windows full of holiday magic! ), may we recommend our Fashion as Art Walk? The main reason why the lights go bright on this night each year? It’s the Feast of the Immaculate Conception. As it’s a church holiday and a Sunday, be prepared for closings – but between the Florentine Sunday events and our festive walks, there’s no reason to be bored today! When it comes to celebrating Natale, Palazzo Strozzi always gets it right. This year, there are two chances to trim the palace tree. 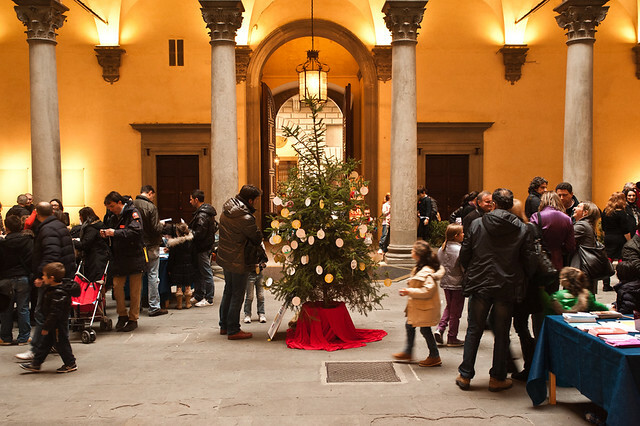 First, at Christmas at Palazzo Strozzi on Sunday, December 8, there will be family-friendly crafts in the atrium, plus special ticket prices and activities in the galleries. Then, on Thursday, December 12, Giovedi al quadrato returns with acoustic folk music from UYUNI and each attendee will receive small Christmas gift from a mysterious sender. Strozzi seasonal surprises, for the win! 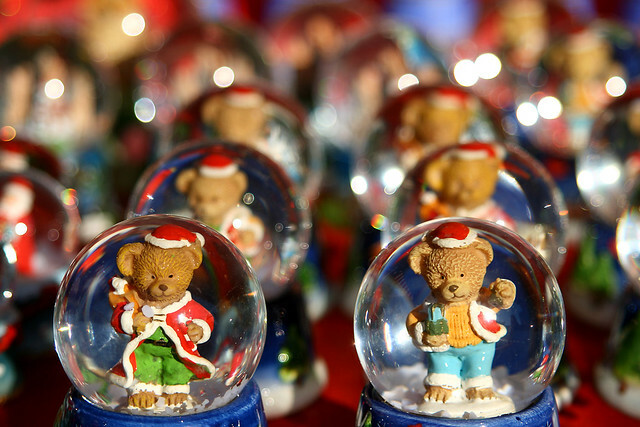 Finally, don’t forget to swing by one of the many Christmas markets this month. We’ve told you about the Santa Croce Weihnachtsmarkt – a delightful, open-air Bavarian market open each day until the 19th. But if you’re in town the weekend of December 15th and 16th, make sure to visit the Lungoungiorno Artisan Christmas Market. Held in an adorable old convent that aims to be “the heart of artistic crafts in Florence,” this artisan market is the holiday version of the organic fierucola fair held every second Sunday in this same space. If you’re on the hunt for unique, authentic gifts for hard-to-please pals, put this one on your calendar. We wish you nothing but good cheer during this festive time of year. Tanti auguri tutti!